Then, moments later my Facebook feed became flooded with images of everyone’s favorite comedian/ actor, Robin Williams, and the news of his recent suicide. At that point I shut off my computer for a bit. I didn’t really want to think about or compare the two things I had just seen, especially not right then. So I went upstairs to see what John and the others were watching on TV. It was this video of an impromptu rescue of fleeing Yazidis by the Iraqi air force and fighters with the Kurdish peshmerga. What you don’t hear about in the clip above, however, is the story of the girl in purple. When this same clip was streaming live the man narrating the scene explained that she had been separated from her father. Apparently he had been hiding out somewhere in the city. They had kept in touch for several days by cell phone, but had recently lost contact. I’ve been stewing about the stark comparison between these public sources of grief pretty much all day now. I think maybe now I’ve identified why it got under my skin, and why in some ways, that was unfair of me. The deaths from bombing in Gaza, the deaths from Ebola in Africa, the deaths from ISIS extremism: these are major sources of grief for a lot of people. Yet our grief for an individual almost always outweighs our grief for a group of people. When it comes to mourning on the large scale, that individual person tends to be a celebrity, like Robin Williams. It’s amazing how we begin to feel like we really know someone, even if we only ever knew them through a TV screen. In the moments after watching tributes to Williams explode all over social media it was easy for me to feel frustrated. That stark juxtaposition with what I had just read about in Iraq and Syria made all those expressions of sadness seem petty. But they aren’t petty. They are real. And more than that, they are incredibly normal. Our brains are wired to be predisposed towards people we recognize. It’s not wrong to feel sad about the loss of Williams, a brilliant actor that many of us associate with good childhood memories, but sometimes we do need to put that loss in perspective. 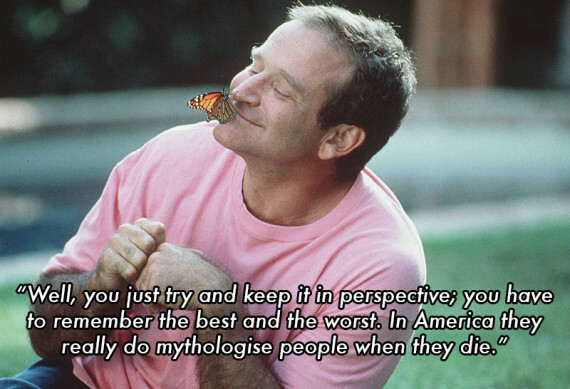 A quote by Williams on the topic of celebrity deaths. I don’t want to downplay the sadness close friends and family of Robin Williams are experiencing right now over his death. I also hope that his story will bring greater awareness about depression, a struggle that has affected my own loved ones and a topic I’ve touched on in a past post. 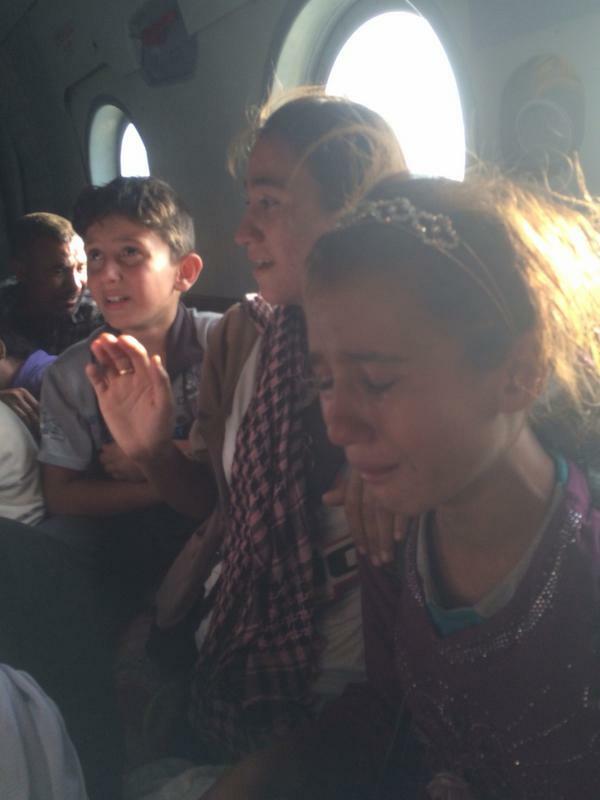 “15 year old Aziza cried whole flight to safety. Her father got separated during ISIS attack 1 week ago. Still missing” – Photo and caption courtesy of Ivan Watson with CNN. “We can look at the suffering… in Iraq and rather than blame it on Muslims, we can try… to reconsider how we got to this place. How we voted for the things we voted for. How we did not listen to the voices that were warning us about these exact things. 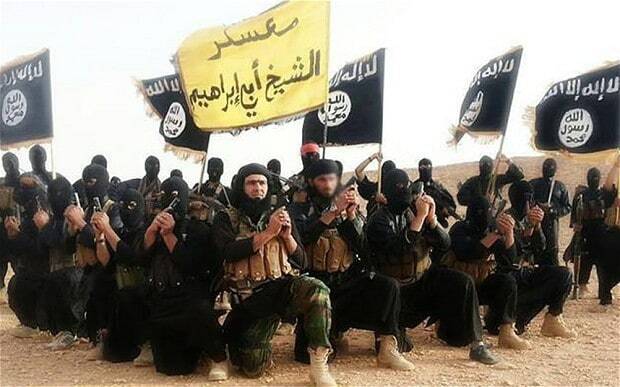 – Preemptive Love Coalition founder Jeremy Courtney in an article for Relevant Magazine explains how the violence in Iraq is the consequence of more than just a specific doctrine. This entry was posted in Africa, America, celebrity, Comedy, crime, Islam, media, morality and tagged actor, celebrities, children, cnn, comedian, Culture, death, Ebola outbreak, evil, Facebook, fake, Gaza, grief, grieving, Iraq, ISIS, Mere Exposure Effect, mourn, Mrs. Doubtfire, powerless, real, rescue, Robin Williams, sadness, suicide, Syria, Yazidis. Bookmark the permalink.